On Memorial Day, we remember all who have gone before us. And, we honor the living veterans who have sacrificed so much for our country and our freedom. 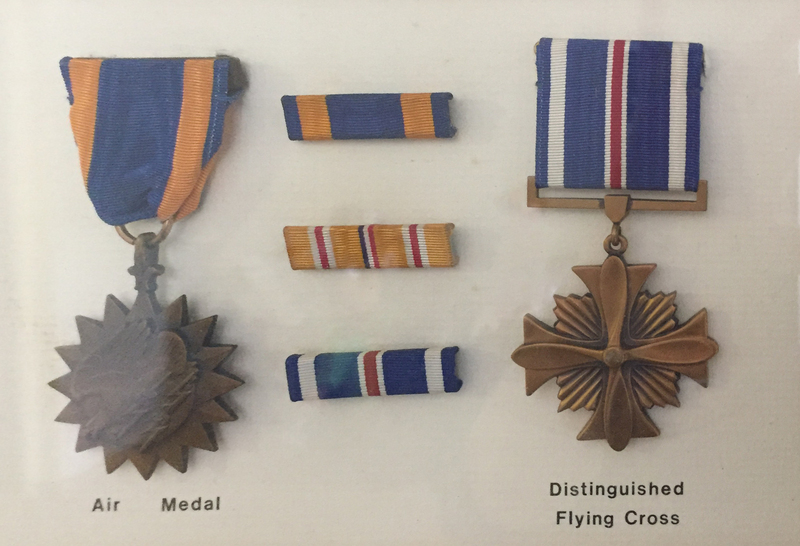 Recently, we visited a WWII veteran who shared his story with us. 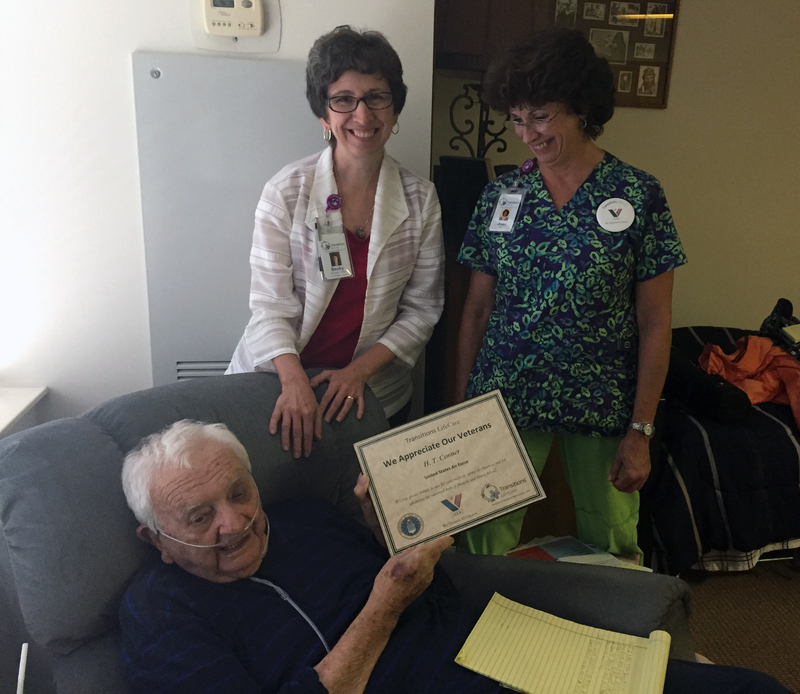 H. T. Conner, a 95-year-old United States Air Force World War II veteran, recently shared his military history with his Transitions LifeCare nurses and “We Honor Veterans” volunteer. Like many veterans, he is proud of his service and came home ready to jump in to civilian life. Born in 1922, H. T. and his two older brothers moved to the Masonic Home of Virginia in Richmond when their father died. H. T. lived there from age 4 to age 18, when he then enrolled in Virginia Polytechnic Institute. After one semester, he registered for the draft following the Japanese bombing of Pearl Harbor and then enrolled in High Point College (now High Point University), where he spent two semesters before he received his orders to report for basic training in Miami Beach. 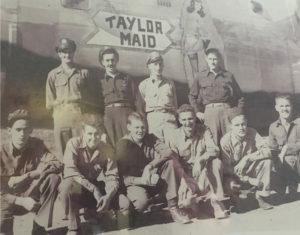 Serving with a team of nine other men, H. T.’s role was tail gunner on the B-24 Taylor Maid, which was typically the lead plane in the 35 missions she flew as part of the 14th Air Force over China. As H. T. was granted a three-week furlough, the Germans surrendered then the Japanese surrendered and H. T. took advantage of the generous GI Bill and set off for Wake Forest College (now Wake Forest University), where he earned a bachelor’s degree. Following two years of teaching, H. T. went to University of North Carolina – Chapel Hill where he earned a master’s and Ph.D. in education. During his civilian career, H. T. focused on research and development. He created and evaluated new educational programs and served as a counselor for high school students who were seeking direction and college advice. For 37 years, H. T. shared his combat experience at a local high school’s history class. This is the first academic year he has not been able to fulfill that most enjoyable service. 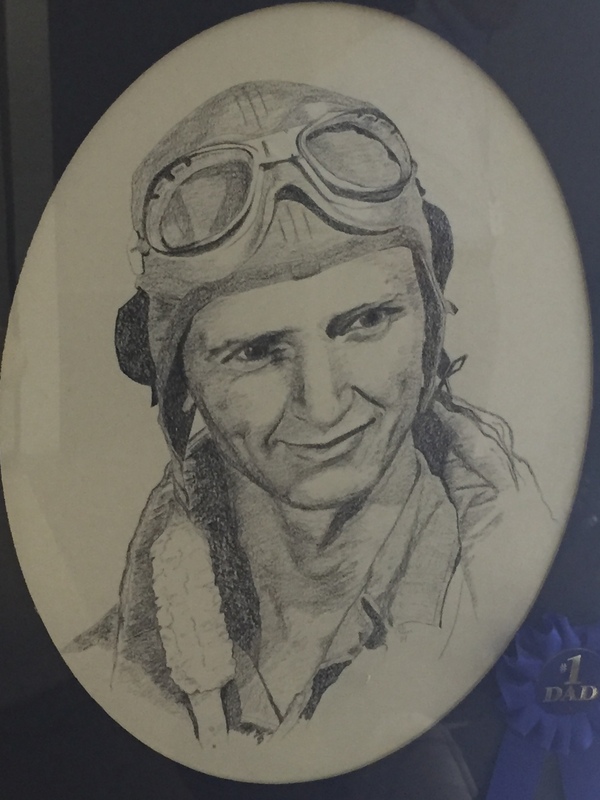 This veteran has authored Homesick (a novel about life in a children’s home in the 1930s) and two books of witticisms. Daily, he takes notes on his legal pad and continues to use his humor and experiences to remain engaged in day-to-day life. Transitions LifeCare is a national partner of We Honor Veterans, a program developed by National Hospice and Palliative Care Organization in collaboration with the Department of Veterans Affairs. 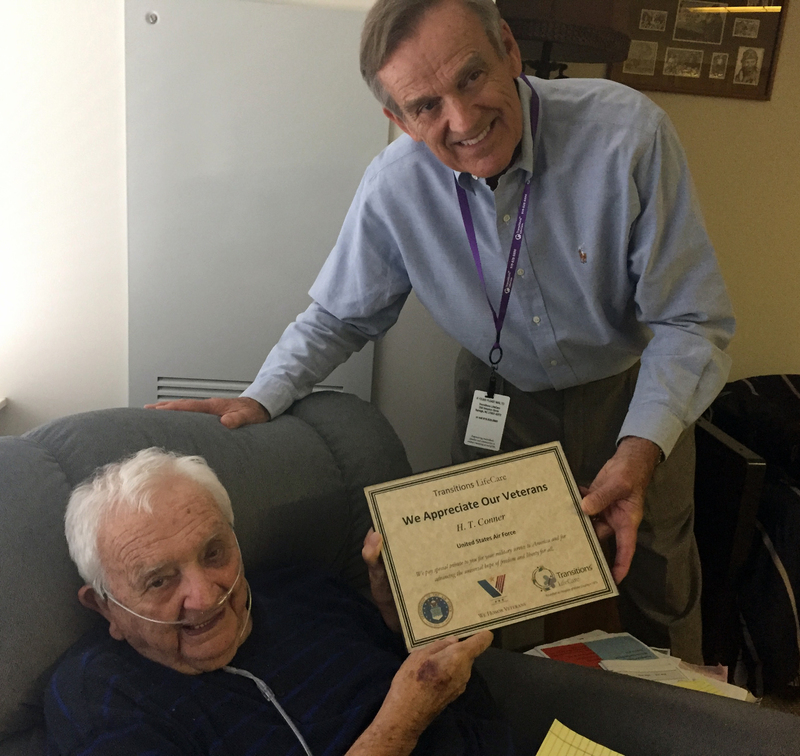 Veteran volunteer Ron Creasman (U.S. Army, ret.) was honored to present H. T. with a certificate and pin as part of this program. Thank you, sirs, for your service.